I’m really looking forward to this weekend’s race at Auto Club Speedway because I’m going to have my two dogs, Roscoe and Finn, on my No. 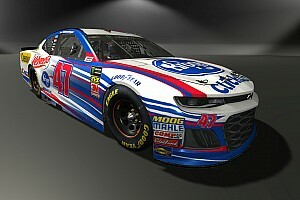 88 Chevrolet as part of Nationwide’s Pet Insurance promotion. It’s pretty neat. We had Finn on the car last year at Texas. The race didn’t go so well for us but he was on there. Having both Finn and Roscoe on the car is going to be cool. I had a little health scare with Finn earlier this year. I had Nationwide Pet Insurance there to take care of it. I love my dogs and I think it’s cool to have them on my race car. t’s hard to take him anywhere but he’s good at home. A lot of people think of Nationwide as just an auto or homeowners insurance company. What they may not realize is that Nationwide offers so many other products, like pet insurance. I never knew pet insurance existed until we put together a partnership with Nationwide. You know vet bills stack up for sure. Especially like Finn, he had some heart issues and not knowing what was going on and all the scans he had, it got super-expensive. Not having to worry about that stuff and knowing that you’re covered, is a huge benefit. Being able to know no matter what it costs, you’ll be able to take care of your pet and keep them healthy is so important. I think owning pets relates to a lot of fans. People like dogs for the most part, mostly because they’re cooler than people. I like dogs more than I like people. Both of my dogs have pretty strong personalities and it’s been pretty funny to share that on social media and share the weird, funny stuff they do. They go just about everywhere with me. They came to my Nationwide photo shoot. Roscoe doesn’t go very many places – he’s a handful. They would be here out West but someone many years ago decided to let his dog poop on the Hendrick Motorsports plane, I guess. So here I am, can’t fly with my dogs on the plane. Ruined it for everybody. Those are the rules and I have to follow them now. Finn goes to all the races that I can drive to. Roscoe generally stays home. I could just seem him starting a fight in the driver/owner lot. I need to avoid that at all costs. 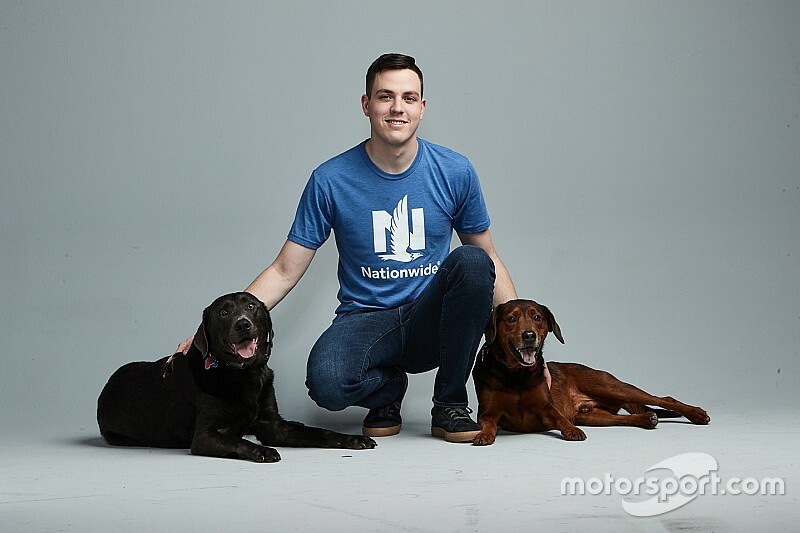 As part of the Nationwide Pet Insurance promotion, Nationwide is also giving all pet owners a chance to win with a special promotion this week and during the race weekend in California. 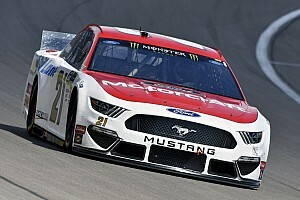 Pet owners and fans who get a Nationwide pet insurance rate quote will be entered to win $250 and a custom die-cast with their pet’s image on the car autographed by me. It can be a dog, cat, or even a reptile. 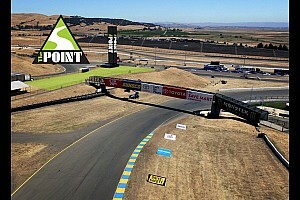 To enter the contest, fans can go to www.petinsurance.com/race. We’ll go back to California with the full aero package on the cars again. There are big, long straightaways which will be big opportunities for the draft to pay off. But it gets so slick, so abrasive and so bumpy that you’re really going to have to handle well. It will be interesting as we find out the balance and how it races there. It kind of surprised all of us at Las Vegas at how spread out it got at times. I think Atlanta and Las Vegas were more normal than we thought it would be. California will interesting to see how it goes.